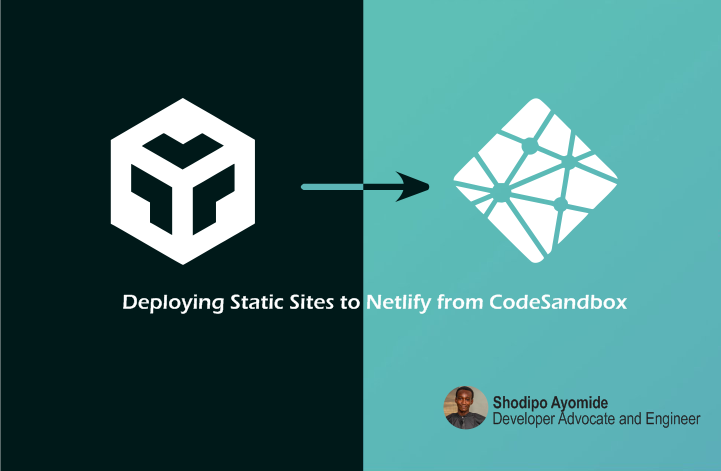 Deploying Static Sites to Netlify from CodeSandbox | Articles on things frontend, Software Engineering by Developerayo. Developer Advocate & Software Engineer at VanHack and at Fremer. CodeSandbox and Netlify are like a passenger and an Uber driver, the passenger enters into the car and the uber driver starts the car and keeps on moving, CodeSandbox started with a super amazing idea by Ives van Hoorne the Creator of CodeSandbox and now works fulltime developing it. 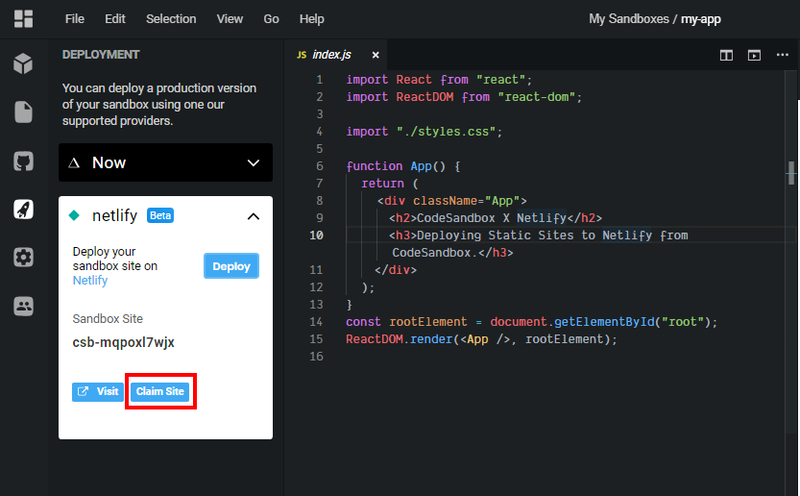 CodeSandbox is an online VSCode-like editor built for web applications development, It was built with a mindset to make projects sharing easy across teams and people. 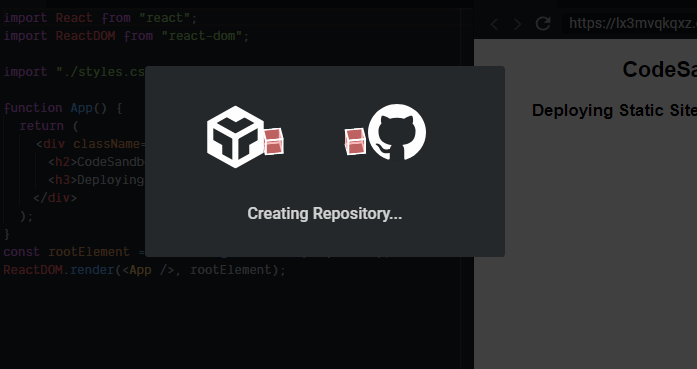 Get started with CodeSandbox here https://codesandbox.io. 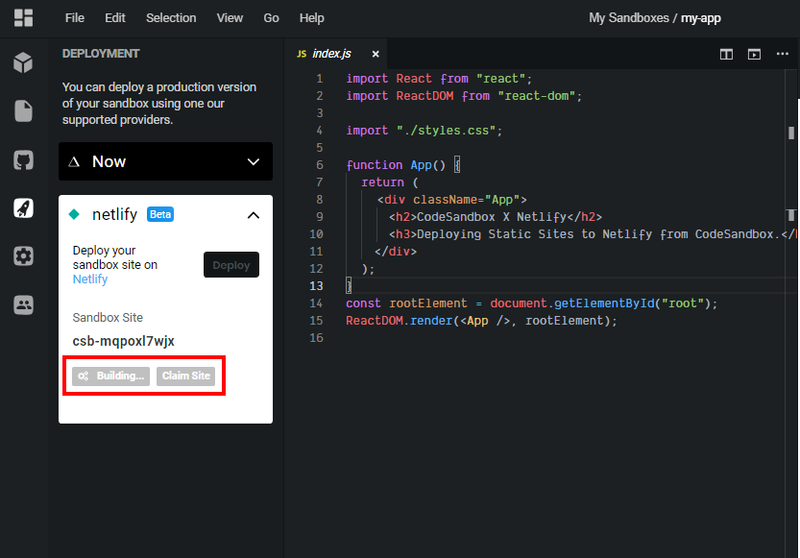 Netlify is a developers platform that automates codes, built in a way users will be able to simply push their code and the platform handles the rest. 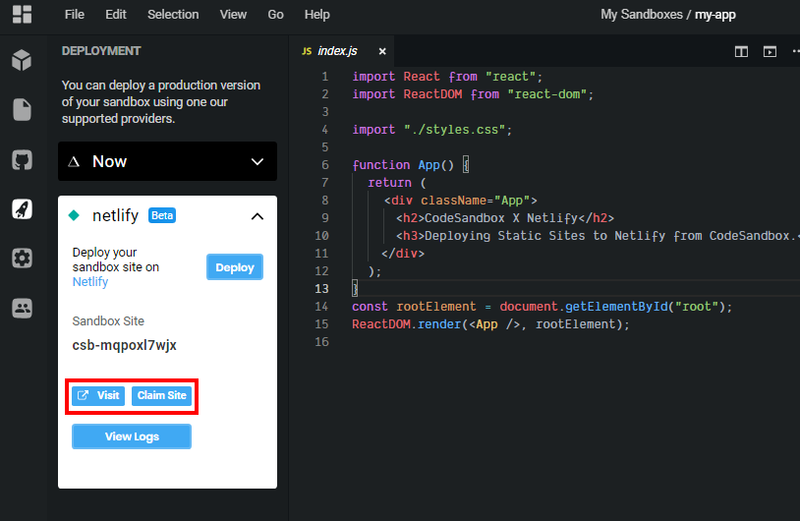 Firstly, visit your https://codesandbox.io dashboard and create a simple static site from one of the client templates. In this scenario, we would be using the React create-react-app template. You can delete or rename the other files. Next, you would have to click on file and Fork the Sandbox, Awesome! Now you have it all to yourself. you can customize it whichever way you desire. Once that’s done you should have something similar to what I have below. Now, let’s create our GitHub repository directly from our CodeSandbox dashboard, click on the GitHub icon on the icon tag across your left. Put in your desired name of repo and then click create repository, you should get the below, but then wait a few seconds for it to deploy. You should get a loading screen like the below for some seconds. Once that’s done, click on the Plus sign and refork the repo, Click again on the rocket button and click deploy on Netlify. Once deploy is clicked on Netlify, you will get a unique domain like csb-mqpoxl7wjx wait few seconds for it to build and deploy. Awesome🔥🔥🔥, You should get two buttons Visit and Claim Site click Visit to view the deployed site. Your deployed site should look like the image below if all steps were followed. Once that’s clicked, you would be redirected to a new page on Netlify that looks like the image below, you just have to add it to your netlify dashboard. We’ve only scratched the surface with this Deploying Static Sites from CodeSandbox to netlify article. I hope you’ve enjoyed learning how to Deploying Static Sites from CodeSandbox to netlify. Thanks to Ives van Hoorne, Sara Vieira and others behind this helping us maintain and improve this amazing platfrom. Articles on Software Engineering by Developerayo. (Developer Advocate & Engineer at VanHack).